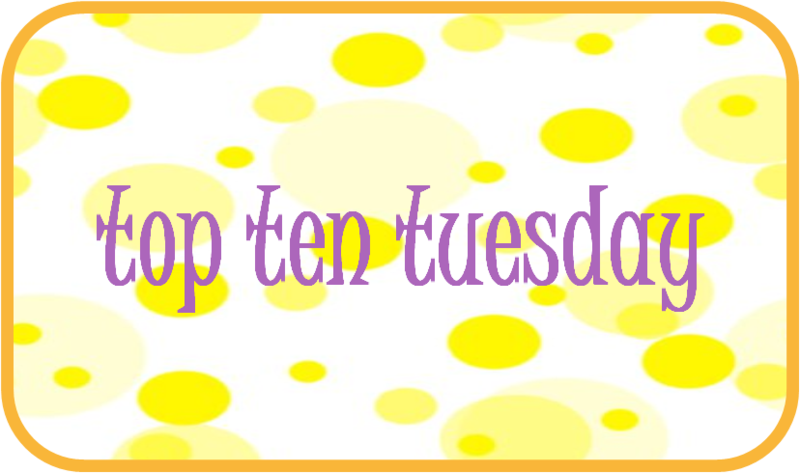 Once again Tuesday has come around, and you know what that means: another Top Ten Tuesday, a fantastic weekly bookish meme hosted by the lovely blog The Broke and the Bookish. This week the theme is Top Ten Books For Readers Who Like Character Driven Novels. I think that character driven novels are fascinating reads if they are executed well, but that’s the thing: it takes a masterful writer and storyteller to craft such a compelling story. Here are some of my favorites- in no particular order, of course! 2. These Broken Stars by Amie Kaufman and Meagan Spooner. 3. The Help by Kathryn Stockett. 4. A Prayer for Owen Meany by John Irving. 5. The Goldfinch by Donna Tartt. 6. Anna and the French Kiss by Stephanie Perkins. 7. The Perks of Being a Wallflower by Stephen Chbosky. 8. Looking for Alaska by John Green. 9. Fangirl by Rainbow Rowell. 10. The Great Gatsby by F. Scott Fitzgerald. What are your favorite character driven novels? What do you think about the ones on my list? Let me know in the comments section below! I absolutely love The Help. It featured on my list and I thought it was an incredible, powerful read with such brilliant characters! Great list! Hi. I have Perks in my list too. I’m reading Looking for Alaska & Fangirl is in my TBR list. Overall, I like your list. Great selection. 🙂 I’ve seen The Help on several lists now – I really need to read that book! The Help is a great choice, as is the Perks of Being a Wallflower, that novel is driven by Charlie’s journey through his first year of high school. The Goldfinch is on my TBR, I’m eager to read some Donna Tart. I love These Broken Stars and Jellicoe Road. Great picks this week. Good selections, particularly the Irving and Green titles! A Prayer for Owen Meany is one of my all-time favorites. I’d highly recommend Irving’s The World According to Garp, too.